The Maryland Wineries Association, Inc. is a non-profit 501(c)6 trade organization representing Maryland’s commercial wineries, and those in the startup process. Founded in 1984, the MWA’s mission is to develop and expand the grape and wine industry in Maryland – through education and promotion. Providing a forum for contracts and collective event planning. Becoming a member of the state trade organization should be an integral part of any winery’s development plans. We invite you to join as an associate member in the years leading to your formal licensing, and welcome you as a full member upon formal licensing. Associate member. Individuals or corporations who are in the process of developing/licensing a winery are encouraged to join the Maryland Wineries Association as associate members. Proof of intent is required, which may include business plan outline, architectural drawings, correspondence with State or TTB regarding licensing, etc. 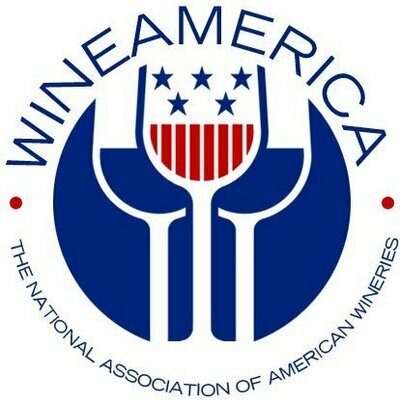 The MWA plays an integral role in winery startup by advocating on the local/zoning/state/federal level for its members. Full Member. Full membership is open to licensed, bonded Class 3 and Class 4 wineries in Maryland. Proof of State licensure and TTB permitting are necessary. Full members have a board seat and voting rights to set industry policy. Affiliate Member. Are you interested in reaching Maryland’s diverse winery business community? Do you offer products or services that would benefit our vineyards and wineries? If so, consider joining the Maryland Wineries Association to network with over 100 businesses. Membership in the MWA brings certain benefits; some great for the bottom line, others great for simply promoting your winery. Cooperative marketing activities. The MWA engages in marketing activities each year – many of which are at no additional charge to members. Each year the MWA collaborates with other craft alcohol producers to produce a beautiful brochure which is distributed throughout the State’s tourism information centers and at wineries. This brochure – and other printings – showcase every MWA member. In addition, cooperative ads in trade and consumer magazines offer significantly lower costs. MWA-sponsored festivals. The State’s 10 major wine festivals draw over 40,000 visitors each year. Winery participation is limited to MWA members, and there is no entry fee for MWA member wineries to attend. These festivals are an essential sales opportunity for member wineries. Cooperative purchasing opportunities. Major discounts can be found through cooperative purchasing of supplies, tent rentals for festivals, etc. Legal Counsel/Lobbyist. The MWA retains a lobbyist to advise on legislation and other legal issues. Governmental Affairs. MWA has an active governmental affairs committee that monitors and guides industry legislation, and helps build and maintain a favorable business climate for wineries in Maryland. Educational opportunities. MWA hosts 4-6 educational opportunities each year which are free or discounted to MWA members, including a 2-day winemaking & marketing seminar, “cellar rat” trainings, winemaker roundtable analysis of wines, compliance seminars and more. Wine competitions. MWA sponsors two wine competitions — the Governor’s Cup and the Comptroller’s Cup, open only to MWA members and associate members. Association Staff. The MWA staff works for the Board – helping to further marketing, legislative and other agendas throughout the year. For additional information, contact the Maryland Wineries Association.